LOS ANGELES (March 25, 2014) — MediaAlpha, the emerging technology leader in performance-based insurance advertising, today announced the public launch of the MediaAlpha Exchange following a majority investment from a wholly-owned subsidiary of White Mountains Insurance Group, Ltd. (NYSE: WTM) (“White Mountains”). 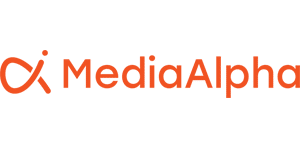 The MediaAlpha Exchange, operating on an invite-only basis since 2012, is the industry’s first transparent, vertically integrated marketplace bringing Real-Time Bidding (“RTB”) to performance-based advertising. The innovative ad-tech platform is already home to the largest online insurance advertisers, offering them unparalleled targeting capabilities using structured search and big data, while helping sellers increase monetization with best-of-breed yield optimization algorithms. “The MediaAlpha Exchange is a transformative ad-tech platform that is fundamentally altering the way online advertisers identify and communicate with potential customers. The platform ensures that every ad served is more targeted than ever before, with insight drawn from user generated and third party data, as well as advertisers’ proprietary data, to drive the ROI of insurers’ advertising budgets and increase conversion rates,” said Steve Yi, CEO of MediaAlpha. For advertisers, the MediaAlpha Exchange offers a robust, best-in-class RTB demand side platform (“DSP”) with rapidly growing access to inventory from leading insurance publishers. The platform enables advertisers to use the next-generation RTB to target and acquire the highest intent customers via data-driven, custom audience and bidding strategies for clicks, call, and leads. Publishers also benefit from the MediaAlpha Exchange’s sophisticated demand management and yield optimization capabilities that drive competition for and maximize the yield from their insurance advertising inventory. The platform’s world class analytics and reporting also gives publishers the tools to create traffic acquisition strategies and make more insightful real-time business decisions. On March 14, MediaAlpha closed on a majority investment from White Mountains. The investment is a clear recognition of MediaAlpha Exchange’s proven disruptive success. It will allow MediaAlpha to continue to invest in its business and ad-tech platform, execute on attractive growth opportunities and further solidify the company’s position as a leader in the digital advertising technology space. “We are excited to invest in a company that is reshaping the way insurance advertisers do business. MediaAlpha is bringing game-changing technology to the market, and we look forward to seeing the great impact it has on the industry,” said Manning Rountree, Managing Director of White Mountains. Petsky Prunier LLC served as exclusive financial advisor and Winston & Strawn LLP served as legal advisor to MediaAlpha. The Raine Group LLC served as financial advisor and Morgan, Lewis & Bockius LLP served as legal advisor to White Mountains.